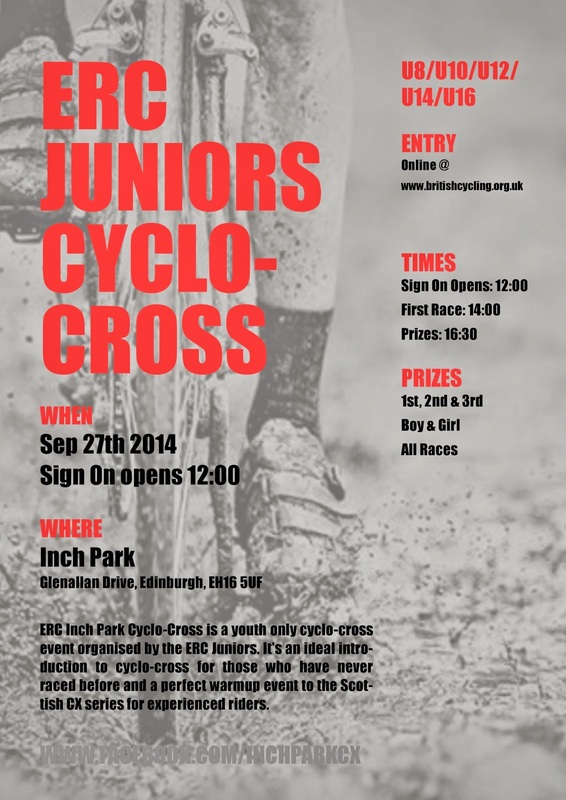 ERC Juniors are pleased to announce that they will be hosting a youth only cyclocross race again this year at Inch Park in Edinburgh on Saturday 27th September. Last year’s race was a huge success with over 130 riders and glorious sunshine. We can’t promise the sunshine but we can promise a great days racing. Entries are now open online here. We will have electronic timing and lots of great prizes for boys and girls in each category. See our Facebook page for some great photos from last year’s race.